Stelios Virvidakis was born in Athens, Greece (1955). He studied philosophy at the University of Athens (BA), at the University of Paris I / Sorbonne – Panthéon (Maîtrise, D.E.A) and at Princeton University (Ph.D.) He has taught at various Universities in Greece, in Cyprus, in France, in Japan and in South Korea and is currently professor of philosophy at the Department of History and Philosophy of Science of the National and Kapodistrian University of Athens. 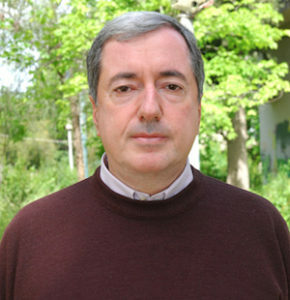 His publications include a book in metaethics (La robustesse du bien, Nîmes: Jacqueline Chambon, 1996), textbooks for the teaching of philosophy in Greek highschools and more than a hundred articles in Greek, in French and in English, in scholarly journals, in conference proceedings and in philosophical dictionaries and encyclopaedias, mainly in the areas of ethics, epistemology and the history of philosophy. He is a member of many philo­sophical societies and of the Steering Committee of the Fédération Internationale des Sociétés Philosophiques (FISP). In 2006 he was awarded the title of Chevalier dans l’Ordre des Palmes Académiques by the French Government. His current research interests span a wide range of topics in epistemology, metaphilosophy, metaethics, philosophy of literature and philosophy of religion.